The success rate of the face recognition attendance system is quite high. You can rely on it completely, and it would also help you save a lot of money in the long run. 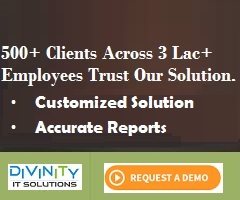 To know about this system, you can give us a call at Divinity IT Solutions. In the recent years, we have seen a variety of attendance systems. Apart from the traditional attendance register system, there is also the biometric system. The biometric system also comes in various forms. There are finger print recognition devices, hand recognition devices, ID card recognition devices and even facial recognition devices. Lately, the face recognition attendance system has become quite popular in companies, organizations, malls, etc. Divinity IT Solutions is a company that offers face recognition attendance system as per your requirements. Before you get a face recognition attendance system in your office, the first thing you need to know is how it works. This system is programmed to recognize facial features of a person. When the system is installed, the device captures the facial features of every employee and then stores them in the database. Every time, a person has to enter the office premises, the device would scan the person's face, compare it with the database and give approval for entry if it finds a match. 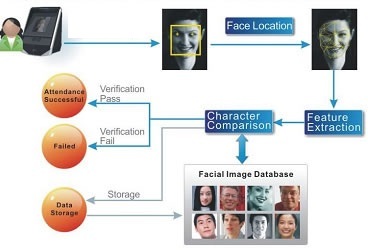 It is possible to enter as many people's facial details in the database. Attendance: The facial recognition attendance system is ideal for recording the daily attendance of the employees in an organization. It replaces the manual register system entirely and efficiently too. Unlike the register system that can have false records, both intentionally and unintentionally, the face recognition system would provide 100% accurate attendance details. There is no chance that anyone can do any kind of cheating or manipulation with their attendance if this system used. It is possible to set the system as per the requirements of your company. 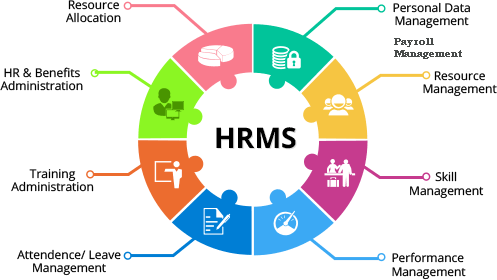 Once everything is set, attendance details like time-in, time-out, half day, sick leave, etc, of an employee can be tracked easily. The attendance information recorded and saved in the attendance system can be important to the payroll software. This system negates the need to calculate attendance manually. This would save lot of time as there are no chances of mistakes occurring, which quite common when it comes to manual payroll are processing. The face recognition attendance system offers safety and security to the office premises. It can also be installed in places where you want to control and regulate the entry of unknown people or strangers. Only those people whom the system recognizes would be admitted inside the premises, thus reducing the chances of theft and such other malpractices. The system would deny access to anyone other than those whose facial records are in the database. •	As there are no chances of any errors, you would surely enjoy financial benefits. As there are no chances of manipulation with this attendance system, you would not be spending extra money on payroll every month. •	No need to spend money on stationery every month. You can get rid of the pen and paper system for attendance recording completely. •	The device is completely trustworthy and you do not need to check on it or assign a supervisor or security guard to monitor the system.